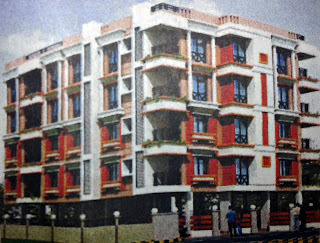 Buy New Flats Bansdroni, Kolkata Cosmic Ferro & MMG Realty Cosmic Opulence new flat price rate costs charges 1 BHK Flat 2 BHK 3 BHK Flat Rooms size area Cosmic Opulence flats booking online, Bansdroni, Kolkata Cosmic Opulence Buy Flat details of Cosmic Opulence Bansdroni, Kolkata housing project, Property & Real Estate information, 1BHK 2 BHK Flat Size Price & Facilities of Cosmic Opulence Flats in Bansdroni, Kolkata. Cosmic Opulence at Bansdroni, Kolkata has given the opportunity to the people of Kolkata and across Bengal to buy new flat at Bansdroni, Kolkata of Cosmic Ferro & MMG Realty Real Estate Company. Those who are looking for New Property / Flat / House nearby Brahmapur, Kasba, Topsia, Bypass areas of South Kolkata at cheap price rate; can now contact the head office of Cosmic Ferro & MMG Realty to book new flat of Cosmic Opulence, Bansdroni, Kolkata. Let’s check out more details on Cosmic Opulence, Bansdroni, Kolkata. • Features Facilities & Advantages of Cosmic Opulence Housing Project, Bansdroni, Kolkata: - AC Community Hall, AC Indoor Games, Kids Corner, AC Gymnasium, Beautiful landscaping garden, CCTV for Security reasons, Intercom for security safety, 24-hours water supply, 24-hours power backups, and many other common facilities are available at Cosmic Opulence, Bansdroni, Kolkata Housing Apartments of Cosmic Ferro & MMG Realty. • Cosmic Opulence Bansdroni, Kolkata Flat Size, Price / Rate / Costs / Charges: - There are several types of flats are available at Cosmic Opulence like 1-BHK flat, 2-BHK flat, 3-BHK flat etc and the Cosmic Opulence Flat price at Bansdroni, Kolkata are varies depending on the Flat Size. Finance and Bank Loan facility is available at Cosmic Opulence Housing Project for the buyers. Total of 12 Residential Apartments (flats) are there in one G+4 structured Block of Cosmic Opulence Housing Project of Kolkata and the flat (Apartment) price starts only from 25 Lacs. • Cosmic Opulence Housing Project Site Address / Location: - Brahmapur, Bansdroni, Kolkata. • MMG Realty Head Office Phone Contact Number: - Cosmic Opulence Residential Project of Kolkata is developed by Cosmic Ferro and marketed by MMG Realty (93305-79795 / 98300-42586). • Flat Booking Process at Cosmic Opulence, Bansdroni, Kolkata: - Cosmic Ferro developed, marketed by MMG Realty, Cosmic Opulence Residential Project at Kolkata to provide affordable & luxurious living in Kolkata. Interested people are requested to call 93305-79795 / 98300-72586 numbers to know more & to book. It is recommended to the peoples, who want to buy flats at Bansdroni, Kolkata (or nearby areas like EM Bypass, Kasba, Topsia, Brahmapur), to contact Cosmic Ferro & MMG Realty as soon as possible to fill-out new flat booking forms of Cosmic Opulence of Bansdroni, Kolkata or to know whether any discount / offer is going on new Cosmic Opulence flat prices at Bansdroni, Kolkata. Buy New Flats Andul, Howrah Cosmic Ferro & MMG Realty Cosmic Oxford new flat price rate costs charges 1 BHK Flat 2 BHK 3 BHK Flat Rooms size area Cosmic Oxford flats booking online, Andul, Howrah Cosmic Oxford Buy Flat details of Cosmic Oxford Andul, Howrah housing project, Property & Real Estate information, 1BHK 2 BHK Flat Size Price & Facilities of Cosmic Oxford Flats in Andul, Howrah. Cosmic Oxford at Andul, Howrah has given the opportunity to the people of Kolkata and across Bengal to buy new flat at Andul, Howrah of Cosmic Ferro & MMG Realty Real Estate Company. Those who are looking for New Property / Flat / House nearby Uluberia, Andul, Santragachi, Salkia areas of Howrah at cheap price rate; can now contact the head office of Cosmic Ferro & MMG Realty to book new flat of Cosmic Oxford, Andul, Howrah. Let’s check out more details on Cosmic Oxford, Andul, Howrah. • Features Facilities & Advantages of Cosmic Oxford Housing Project, Andul, Howrah: - AC Community Hall, AC Indoor Games, Kids Corner, AC Gymnasium, Beautiful landscaping garden, CCTV for Security reasons, Intercom for security safety, 24-hours water supply, 24-hours power backups, and many other common facilities are available at Cosmic Oxford, Andul, Howrah Housing Apartments of Cosmic Ferro & MMG Realty. • Cosmic Oxford Andul, Howrah Flat Size, Price / Rate / Costs / Charges: - There are several types of flats are available at Cosmic Oxford like 1-BHK flat, 2-BHK flat, 3-BHK flat etc and the Cosmic Oxford Flat price at Andul, Howrah are varies depending on the Flat Size. Finance and Bank Loan facility is available at Cosmic Oxford Housing Project for the buyers. Total of 100 Residential Apartments (flats) are there in 4 Blocks of Cosmic Oxford Housing Project of Howrah and the flat (Apartment) price starts only from 17 Lacs. 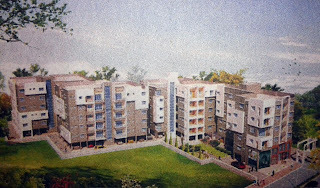 • Cosmic Oxford Housing Project Site Address / Location: - Andul Road, Howrah, West Bengal. • MMG Realty Head Office Phone Contact Number: - Cosmic Oxford Residential Project of Howrah is developed by Cosmic Ferro and marketed by MMG Realty (93305-79795 / 98300-42586). • Flat Booking Process at Cosmic Oxford, Andul, Howrah: - Cosmic Ferro developed, marketed by MMG Realty, Cosmic Oxford Residential Project at Howrah to provide affordable & luxurious living in Howrah. Interested people are requested to call 93305-79795 / 98300-72586 numbers to know more & to book. It is recommended to the peoples, who want to buy flats at Andul, Howrah (or nearby areas like Uluberia, Andul, Santragachi, Salkia), to contact Cosmic Ferro & MMG Realty as soon as possible to fill-out new flat booking forms of Cosmic Oxford of Andul, Howrah or to know whether any discount / offer is going on new Cosmic Oxford flat prices at Andul, Howrah.